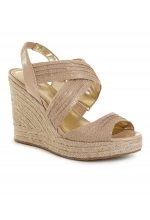 Be bold and go Get 'em in Chinese Laundry's Go Getter wedge sandal. This unapologetically bold offering boasts a two-tone upper for balanced style and a double-buckled ankle strap for a secure fit. 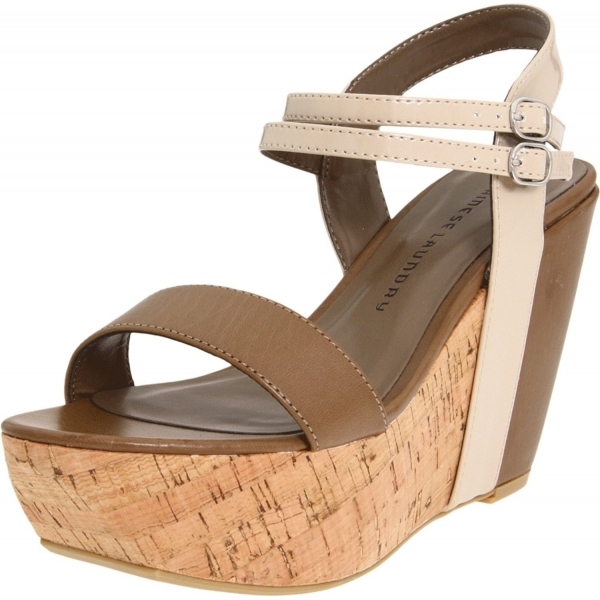 A 10cm wedge heel and a platform in cork give this sensational look flirty, fair-weather appeal that's perfect for shopping, lunches with your friends or whatever you decide to Go Get in Chinese Laundry.